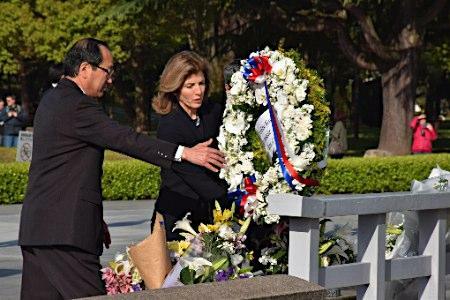 US ambassador to Japan Caroline Kennedy was in Hiroshima yesterday on her third visit to the city, and her second as ambassador. 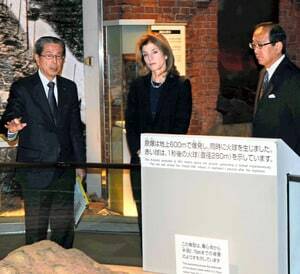 Kennedy said that she was honored to return to Hiroshima, the city to which she had visited when she came to Japan for the first time, and that she has been inspired by the city ever since. 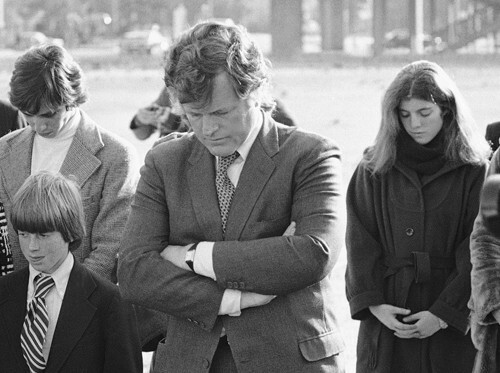 Kennedy first visited back in 1978 with her uncle Senator Edward Kennedy. Ambassador Kennedy offered a wreath and bowed before the memorial cenotaph for the Hiroshima’s atomic bomb victims, in Peace Memorial Park in Hiroshima. Although she attended last year’s August 6 commemoration ceremony, this was the first time she had laid a wreath at the cenotaph in an official capacity. Following the tree planting she spoke with 11 students at Hiroshima University’s Kasumi campus about the importance of overseas study in fostering global talent. On a lighter note, Kennedy threw the first pitch at Mazda Stadium where the Hiroshima Carp were playing the Chunichi Dragons. Kennedy is a professed Red Sox fan, but seemed happy enough to play catch ball with Hiroki Kuroda who return to play for Hiroshima this season after 8 years with the New York Yankees. 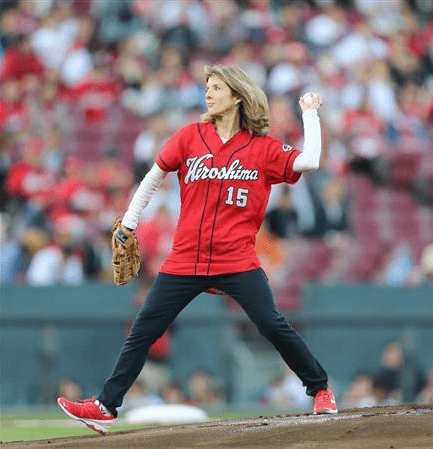 Japan’s sports press and baseball fans in Mazda Stadium seem to have been quite impressed by the ambassador’s form on the mound and the strength of her pitch. Other than an official announcement on nuclear weapons reduction, testing or an upcoming visit by the US president, there is probably little more that the ambassador could have done to make a bigger impression on the average Hiroshima-ite.